How much is Tina Campbell Worth? 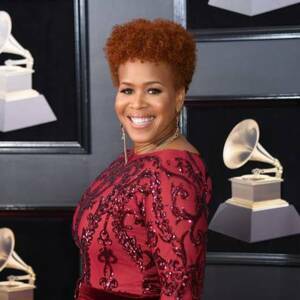 Tina Campbell net worth: Tina Campbell is an American singer and reality television star who has a net worth of $10 million dollars. Born in Inglewood, California, Tina Campbell, also known as Trecina Atkins Campbell, began singing gospel music with her sister, Erica, while the two siblings were in elementary school. She and her sister, while not twins, were both born in 1974, and grew up quite close. They are the middle children of nine siblings. They both enrolled at El Camino College to study voice, and by the mid-90s were touring with multiple gospel groups and serving as backup singers to various R&B performers, such as Brandy. 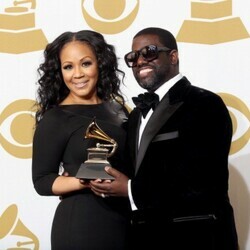 After being discovered by producer Warryn Campbell, they secured a songwriting agreement with EMI. 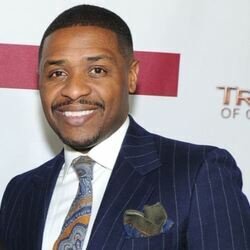 This led to numerous tracks for movie soundtracks, and hit songs for other gospel artists. In the late 90s, they formed their performance duo, Mary-Mary, and released their first album in 2000. The album was a massive success, and they have since released five more popular albums and have won three Grammy Awards. Ms. Campbell is currently appearing on the WE tv reality series, "Mary Mary". 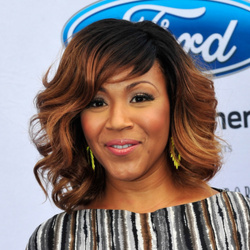 Mary Mary premiered on March 29 2012 and follows the daily careers and lives of both Erica and Tina Campbell.